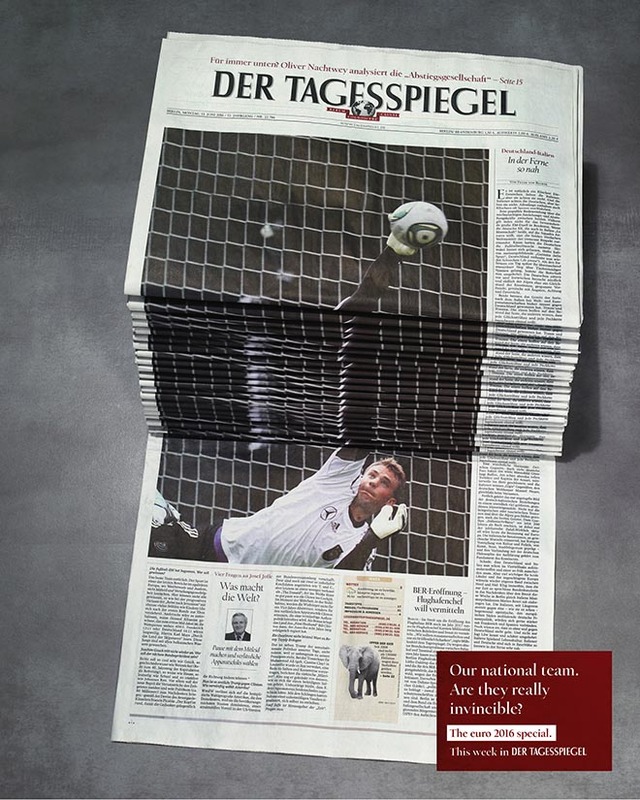 The Newspaper Stack campaign also included 10 second commercials and animated gifs. 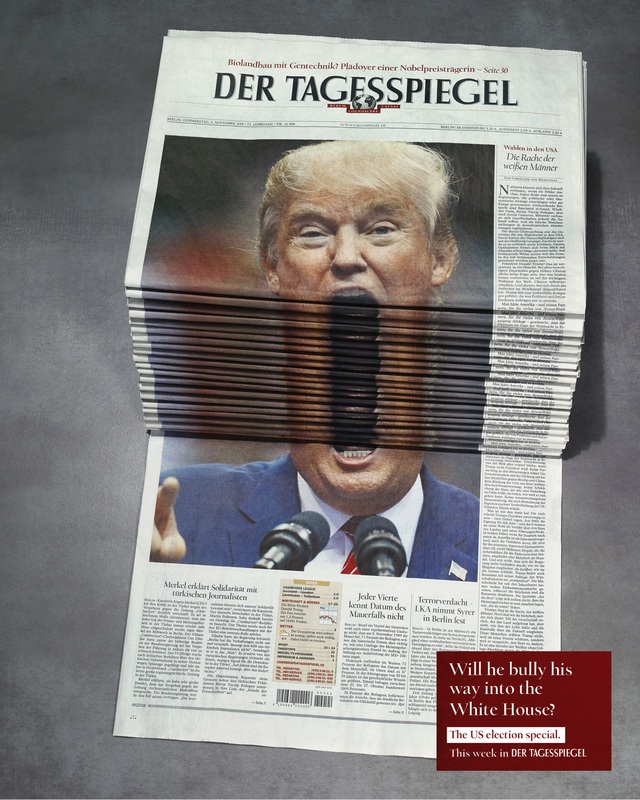 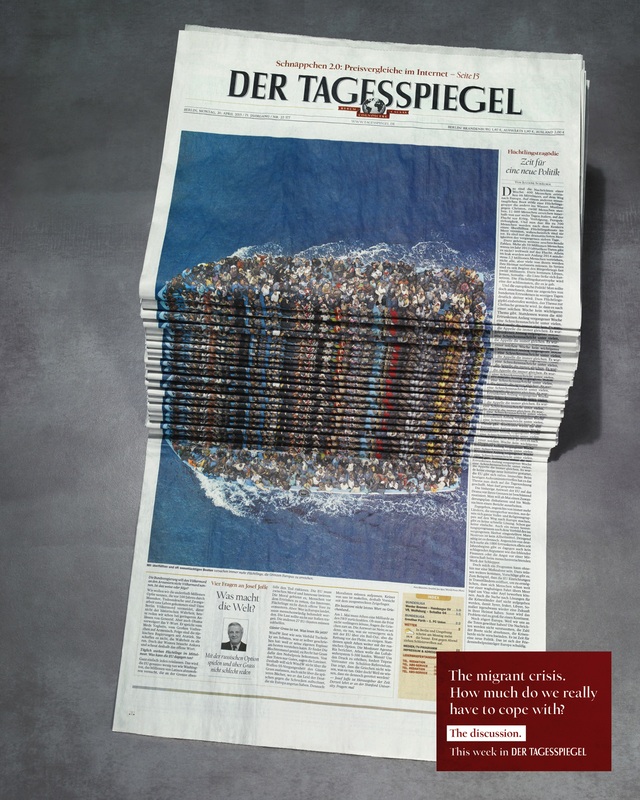 The Der Tagesspiegel Trump campaign was developed at Scholz & Friends by chief creative officer Matthias Spaetgens, managing creative director Robert Krause, creative director Jörg Waschescio, art directors Agnieszka Kalwak and Erika Stuhl, copywriter Lena Klockenbring, art buyer Kirsten Rendtel, and account manager Susanne Caroli. Photography by Karsten Wegener was retouched at sevengreen picture works.